“The Lego Movie 2: The Second Part” is now screening. Actually, hold that thought. There’s no time! It’s a really busy weekend out there in the ahhts, and assuming people have stopped throwing full cans of beer at each other, there’s really no excuse not to take full advantage of it all. Just be warned they may still be throwing beers. Victory has never really been my department so I’m not sure how long it takes to get it out of your system. Let’s talk about sentient Legos instead! OF A PIECE: Legos are super lovable, provided you’ve never stepped on one. It’s one of the reasons the original “The Lego Movie” stacked up so well. (Its “sprawling landscape of mash-ups and crossovers” was another, writes Globe contributor Tom Russo.) So, in the spirit of the not-so-grand tradition of Part Twos, Globe film critic Ty Burr finds himself ever-so-mildly disappointed with “The Lego Movie 2: The Second Part,” piecing together just 2½ stars and calling it “a sequel that is noisy, fast, and pretty smart but that lacks the spark of gonzo originality that made the first movie an out-of-nowhere treat. In short, it’s a sequel.” Keep your ears open for the voices of Chris Pratt, Elizabeth Banks, Will Arnett, and Tiffany Haddish; and, for completely different reasons, don’t go barefoot. Now screening. HOT SHORTS: Feature length films (and insanely boring awards ceremonies) could learn a thing or two from the annual selection of Oscar-nominated short films. They’re concise and bright, conceptually tight, and best of all, they’re over before you can vanish a small trash can worth of greasy popcorn. Everyone wins. From Fridaythrough the weekend at the Coolidge Corner Theatre, you can catch this year’s batch of nominated documentary shorts (which Peter Keough gives a cumulative 3½ stars); while over at the Kendall Square Theatre you can take in the nominated live action and animated short films (which Ty gives 2 and 2½ stars, respectively). Find showtimes and tickets here and here. ANCHOR AWAY: “Daily Show” correspondent Ronny Chieng has been one of the rebooted fake-news mainstay’s breakthrough talents. But you may also have recently spotted him in “Crazy Rich Asians” and ABC’s “Ronny Chieng: International Student” (which is now streaming via Comedy Central). On Saturday, the fast-rising comic (who was raised between Singapore and Manchester, N.H.) makes a stop in town for a stand-up set at the Wilbur Theatre. Grab tickets here. 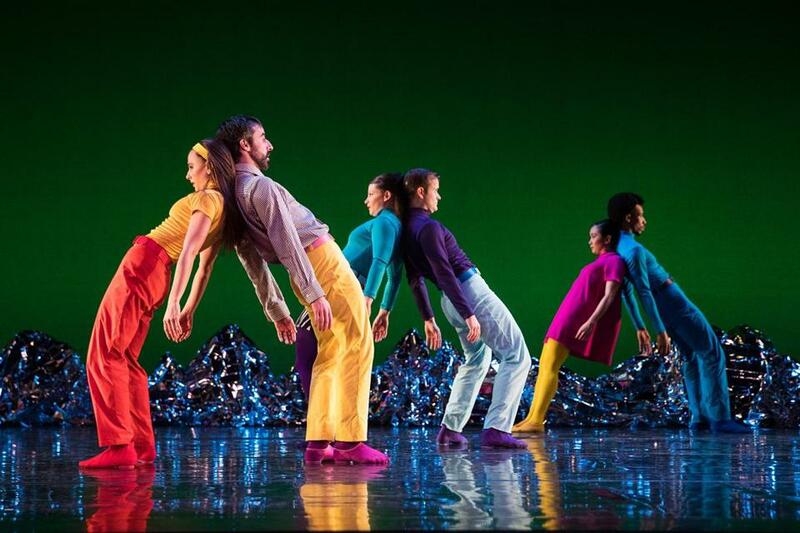 Mark Morris Dance Group performs “Pepperland” Friday through Sunday at the Boch Center Shubert Theatre. A LITTLE HELP: Beatles fans might want to consider leaving home for the Celebrity Series presentation of “Pepperland,” a collaborative effort between Mark Morris Dance Group and composer Ethan Iverson that commemorates the 50th anniversary of “Sgt. Pepper’s Lonely Hearts Club Band” — albeit through a lens that makes you wonder how much Lucy in the Sky With Diamonds was involved. The songs are refracted through Iverson’s chamber-centered adaptations, and Morris’s psychedelic choreography and costuming put an entirely new spin on an old favorite. That’s Friday through Sunday at the Boch Center Shubert Theatre. Find tickets here. SHARON IS CARIN’: This newsletter would never forgive itself if it didn’t just about shove toward Royale on Friday for a set from Sharon Van Etten. The Brooklyn-based singer-songwriter just released “Remind Me Tomorrow,” which Globe contributor Maura Johnston says “surrounds her quivering alto in glitchy synths and unnerving noise that add a world-weary wisdom to her already-knowing lyrics.” She’s tremendous live, and if you haven’t seen her, you really should. (Check me out being all earnest! Seriously tho.) Grab tickets here. REBEL REBEL: At Roxbury’s Hibernian Hall this weekend, you can catch the Actors’ Shakespeare Project production of “Nat Turner in Jerusalem,” a new work from playwright Nathan Alan Davis set on the night before the leader of the legendary 1831 slave rebellion was set to be hanged. Globe theater critic Don Aucoin calls it a “taut” drama, skillfully staged to position audiences “on all four sides of Turner’s cell, perhaps inducing the audience to consider its own voyeurism (and historical complicity? ).” Directed by Benny Sato Ambush and starring Brandon G. Green as Turner and Lewis D. Wheeler as Thomas R. Gray, the recorder of Turner’s confession, the show is up through Feb. 24. Find tickets here. FIXER UPPER: Last month, the Hood Museum of Art at Dartmouth College (up in Hanover, N.H.) reopened after a three-year closure and a $50 million architectural renovation, expanding the museum’s footprint by 16,000 square feet, and increasing its capacity by six galleries. Globe art critic Murray Whyte took a trip up to see it, and finds it transformed from “a museum of dead ends” (as deputy director Juliette Bianco put it) into “a laboratory of its best possibilities” — and they didn’t even have to KonMari the place. On view now are the group shows “Complicating Agency in Photography” and “Entrance Gallery,” a contemporary survey gathering works from the collection that address “feminism, racism, and globalism, as well as national, ethnic, and gender identity.” More information here. DESIGN WITHIN REACH: Elsewhere among the Ivys, there’s a compelling show at Harvard celebrating the centenary of the design school that ushered in Modernism. “The Bauhaus and Harvard” examines intersections between the institutions (Harvard hosted the first exhibition of Bauhaus works in 1930), not least of which was Bauhaus cofounder Walter Gropius, who once served as chair of the university’s architecture department. The show gathers 200 works by 72 artists and is on view Fridaythrough July 28. More information here. LINES OF FIRE: And across the river this weekend, you can experience “Hydrogen Jukebox,” the legendary and rarely-heard collaboration between composer Phillip Glass and the late, great antiwar poet Allen Ginsberg. A “song cycle” of sorts, it “lacks a clear narrative,” writes Globe contributor David Weininger, but “weaves through a host of socially pertinent topics, including religion, the sexual revolution, and political corruption.” “Ginsberg’s poetry embodies a sort of breathless psychological state where we are at our sensory-input limit,” conductor Ryan Turner told the Globe. “Likewise, Glass sets it with an urgency and intense restlessness.” So, heads up to your bones and nervous system: “This is music that shakes the bones and penetrates the nervous system.” That’s FridaythroughSunday at the Boston Conservatory Theatre. Find info and tickets here. 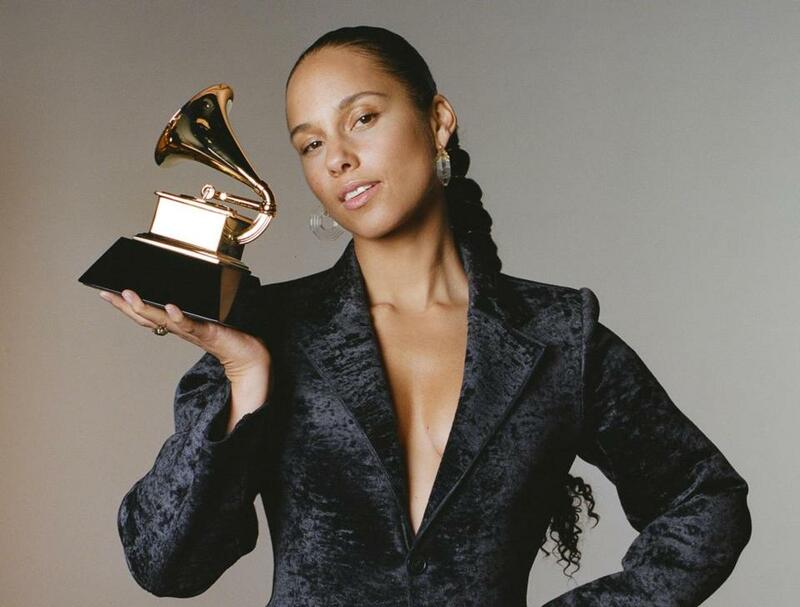 Alicia Keys hosts the Grammys Sunday night on CBS. And that, victorious Weekenders, is all I’ve got in the playbook this week. I’d stay away from those leftover wings, but the rest of the weekend is yours for the taking. However you decide to spend it, make it one you’ll miss come Monday. See you next week!